Winter is here and it’s starting to get cold; when it’s cold it’s really hard to stay motivated about your health and fitness. But identifying what stops us, planning well, and creating the right conditions can make winter work-outs some of the most rewarding of the year. 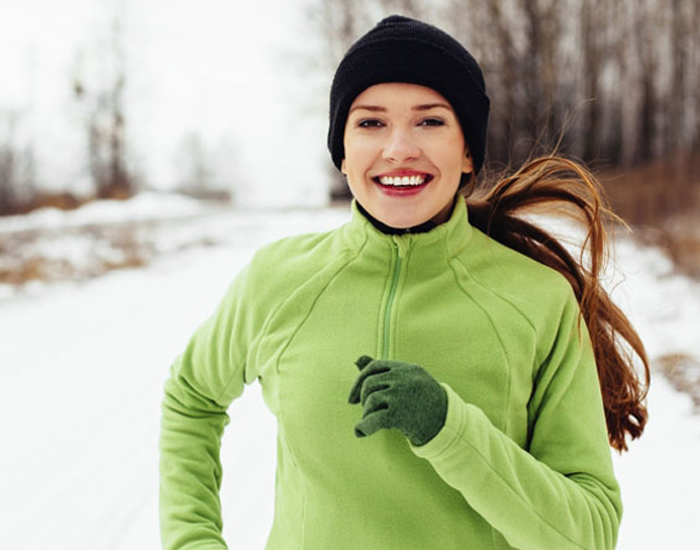 Exercise in winter can provide more benefit than exercise during the rest of the year because it specifically answers our winter body needs. Exercising in the cold burns fat quicker than more comfortable temperatures, because deposits of so-called “brown fat” are activated as the body learns to get warmer, faster. 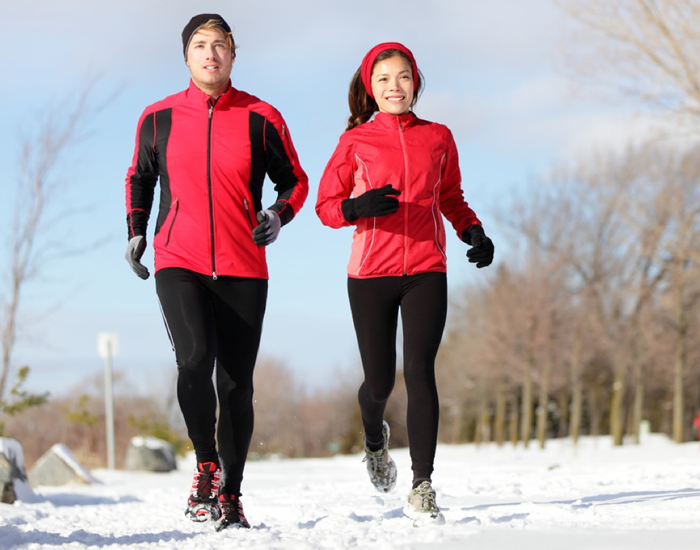 So winter might even be better for weight management than those jogs in more pleasant weather. Exercise is a great way to beat those winter blues. Increased exercises show elevated moods for people with depression or seasonal affective disorder (SAD). If you’re able to exercise outside during daylight hours, you’ll get more of that elusive vitamin D from sunlight which is good for bones, teeth, and muscles. Winter can also be a time for indoor activities you might not get around to otherwise. Dance, squash, hot or regular yoga, circuit training, and swimming, are all great ways to spend an hour in a long evening that might otherwise be spent eating, drinking, and looking at screens. It’s important to find something you love to do rather than making exercise a chore, such as going to an outdoor heated pool with friends, where the warmth of the water contrasts with the sharpness of the air. Also, winter is a beautiful time to do one of the most-overlooked forms of exercise: walking. Try this on a weekend: Get up early and just go to your nearest park or lawn and spend your morning time with sereneness in nature. Trust me, you would feel like it was one of the amazing things you did the whole day! In this winter ensure that your metabolism doesn’t suffer. No need to hit the gym. Just go out and have a brisk walk for half an hour every day, or you may take the stairs while you are at work. You can choose cycling, practice yoga, dance etc the possibilities are endless. It’s all about your will and if you’re ready to work for it. You can even do exercises at home that’ll help you to stay in form and you are done to look like a star even in winters!! The ideal is probably to try and frame exercise as a pleasure, not a punishment—think of it as personal time or a time to think, or listen to podcasts. If it helps motivate you to exercise and form a habit, small food rewards—like a square or two of chocolate—can work. But ideally, food shouldn’t be a reward. • Join a pool or gym with a sauna, and end your workout with a welcome blast of heat. • Soak after a run in a warm bath. • Think about what you’d find most relaxing (sleep, TV, reading recipe books) and let yourself do it for a chunk of time once you’ve exercised. • Take rest days: They are important for allowing muscles to recover. REMEMBER: Plan all the things and just start. It’s important to keep doing what you are into. A week into a routine you love and you will be totally hooked on to it. You will surely notice a big difference not only physically, but also mentally. Cheers!! 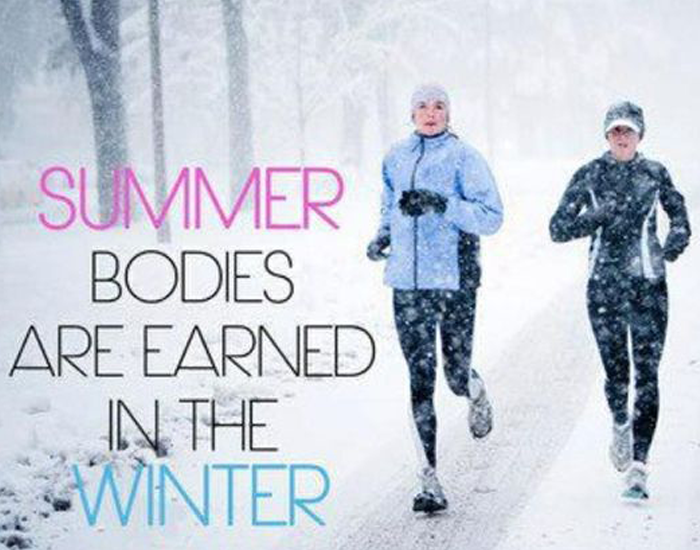 And enjoy your winter with your fitness journey!